Will and Brenda are dedicated to their continued success in mid-distance racing across the state of Alaska. Brenda’s long term goal is to be the next Mackey to win the elusive Iditarod championship. This dream took hold at the age of 5 the year Rick Mackey won. Prior to the race he had asked her who she thought would win and she replied, Rick Swenson, who was on a winning streak. Mackey informed his daughter he would win. Her dad’s competitive drive, determination, and realization of his own dream sparked that of her own and showed her it can be done if you have a vision. 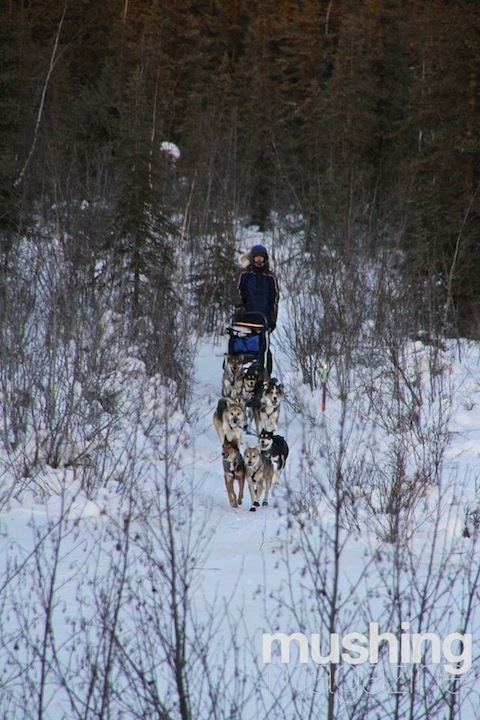 Will plans to race in the Iditarod as well and Isabel will compete in her first Junior Iditarod in 2017. Maintaining a kennel of healthy, happy, well trained, top athletes with proven genetics is the key to success. Will 15 miles from the finish of the 2016 Two Rivers 200 having gained a huge lead in the hills into a strong victory.